On Tuesday 10 November the North East’s Bloggerati (if that’s a word) gathered at Bonbar in Newcastle for the North East Blogger Awards. Hosted by OPR, the aim is to celebrate the blogging talents in the North East I was very humbled to be shortlisted in two categories, Homes and Interiors, and the big one, Blogger of the Year! I started my blog as a way of writing down my creative ramblings and another outlet for sharing my love of interiors, upcycling and showing ways to repurpose furniture and accessories that everyone would find accessible. My mission is to get people being creative and find their creative inner beast! I’m only just discovering how many amazing blogs there are in the North East and I’m proud to now call myself a blogger in the region. 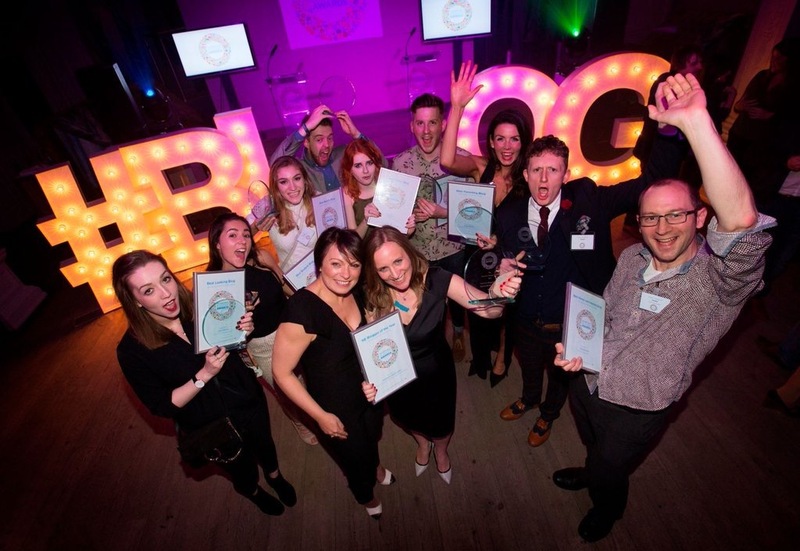 I was up against some fantastic blogs in both categories and, as a relatively new blogger, I really went along for a night out fully not expecting to win anything. The others shortlisted in the Homes and Interiors category were Serendipity Home Interiors and Tracing Green, both fantastic blogs and all so different to each other I have no idea how they judged us. Tracing Green walked away with the prize for this one, well deserved too, it’s an amazing blog focusing on sustainable living in the North East. Tracing Green were also up for Blogger of the Year alongside myself and Rachel Kershaw of Life in Geordie Land, so I naturally presumed that they would win this category too, so I relaxed into just enjoying the rest of the awards. When they called my name out for the Blogger of the Year, it took a few seconds to sink in! Amazed, astounded and shocked, I haven’t been able to stop smiling now for 36 hours! So happy! My social media feeds exploded, my cheeks still hurt from smiling and my mantelpiece now has a shiny new award on it! I’ve won awards before for my work as a graphic designer as part of agencies and in-house teams, but this is the first award that is truly mine, no-one helped me to get here, it’s all my own doing. This time last year I quit my job to pursue a life of working for myself, and a year later here I am, I run Copper Blue Creative, a graphic design agency with my husband, (next task is a new website! ), I’ve started running my own upcycling workshops, turned this blog into an award winning blog and I’m absolutely loving my new life! 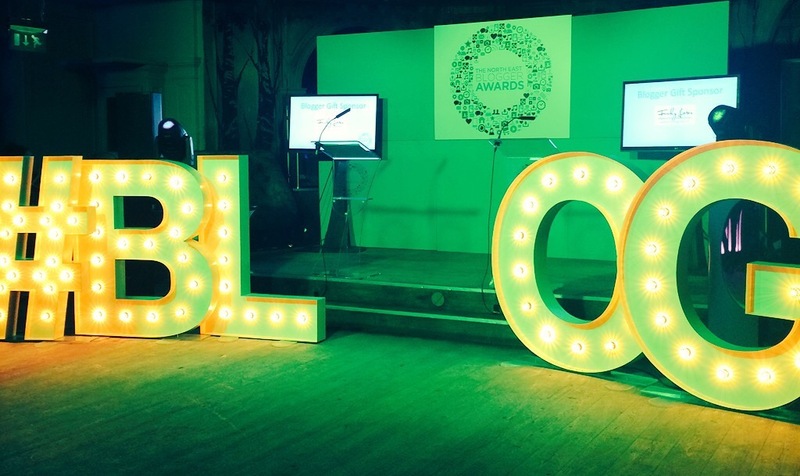 Huge congratulations to all the other blog winners and everyone who was shortlisted. You’re all fantastic, well deserved! I have no idea what the next year is going to bring now. I’m hoping it will raise the profile of my blog and get people being creative in their own homes. 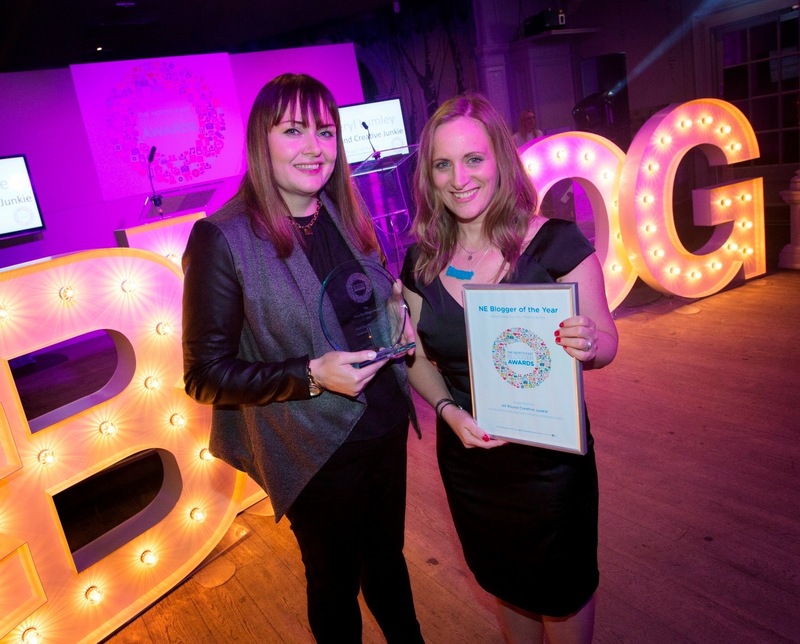 Thanks to everyone that nominated me and a huge thanks to the judges Holly Peacock from OPR, Samantha Rickleton – last year’s Blogger of the Year with North East Family Fun and intu Metrocentre for choosing my little blog to win! !